Historical Marker #215 in Vanceburg notes the Union monument placed there in 1884 by the citizens of Lewis County. Kentucky, like the United States, was divided during the Civil War. Although the commonwealth sent more than two-thirds of its fighting men into the Union army, the post-war years saw a strong push to honor the state's minority of Confederate soldiers. This shift in sentiment, in which Kentuckians largely ignored the contributions of its Union veterans, is marked by monuments found across the state. While more than sixty Confederate monuments were erected in parks and on courthouse lawns in Kentucky, less than ten are dedicated solely to the Union. One of these Union monuments is in Vanceburg. 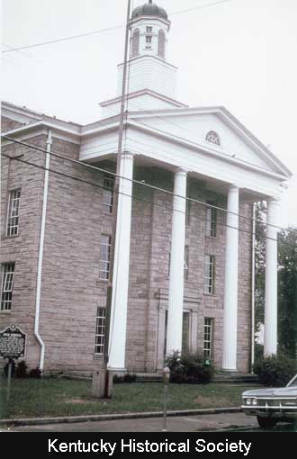 The thirty-four-foot high monument, located on Vanceburg’s courthouse lawn, was raised in 1884 by public subscription. Unapologetically Unionist in sentiment and erected during a Confederate renaissance, the monument lists the 107 Lewis County men who died during the Civil War. The monument is also inscribed with, "The War for the Union was Right, Everlasting Right; And the War Against the Union was Wrong, Forever Wrong." During the Civil War, Union military policies and other edicts enacted by the Lincoln administration, including the Emancipation Proclamation and the enlistment of African American soldiers, caused many white Kentuckians to feel betrayed by the federal government. These actions alienated Union soldiers and civilians, and, after the war, they began to sympathize with the Confederate cause. 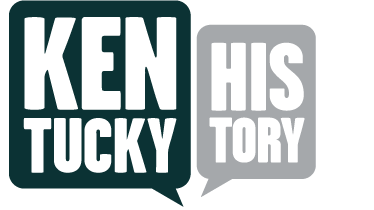 In fact, some historians have remarked that Kentucky "seceded after the Civil War." The state's pro-Confederate sentiment grew once the nation ratified the 13th, 14th and 15th constitutional amendments. A backlash reverberated across the conservative Bluegrass State, where the myth of the "Lost Cause" became firmly rooted. Into the early twentieth century, opposition to the Republican Party and the federal government was often displayed in the state's choice to honor the Confederacy with ceremonies and monuments. In addition, many former Confederates were elected to significant political offices. For example, several postwar governors were former rebel soldiers. Today, the Union monument at Vanceburg stands as a memorial to those who fought for the Union. It also marks a time when sentiments shifted and Kentucky's Unionism was marginalized in favor of the Confederate cause. Historical Marker #215 was originally erected on August 21, 1964. The only Union monument south of the Mason-Dixon line erected by public subscription except those in cemeteries. This unique memorial was dedicated in 1884 to the 107 Lewis County soldiers who gave their lives for the Union during the Civil War. 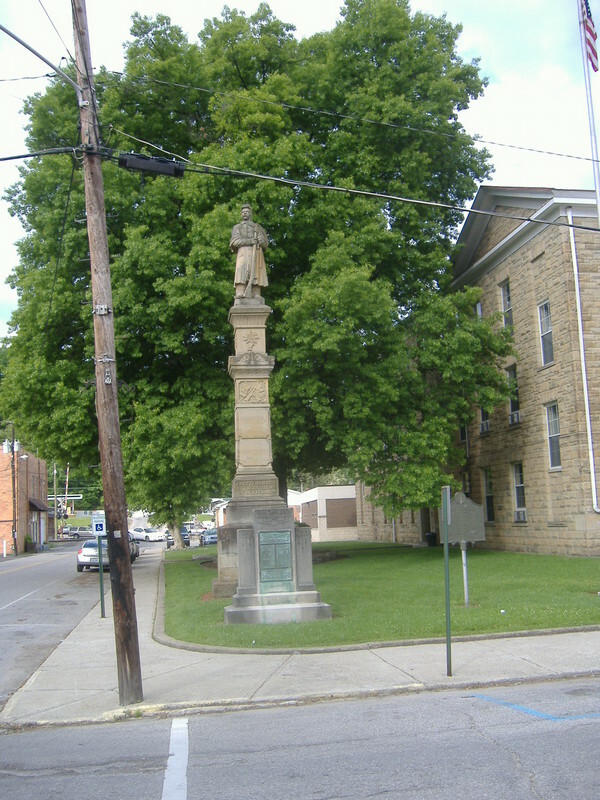 Lewis County Union Monument: A full view of the monument shows a statue of Union Soldier on its summit. Courtesy of C. Bedford Crenshaw. 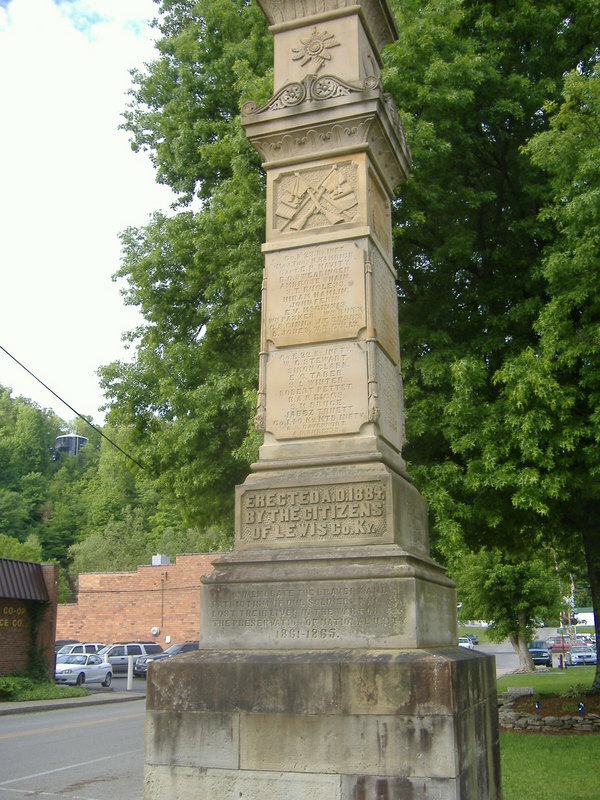 Lewis County Union Monument: A close-up view of the monument is shown in this photograph and includes the inscription that it was placed there in 1884. Courtesy of C. Bedford Crenshaw. Lewis County Courthouse: The Lewis County Union monument is located on the lawn of the county courthouse, which is shown here. Courtesy of Kentucky Historical Society. 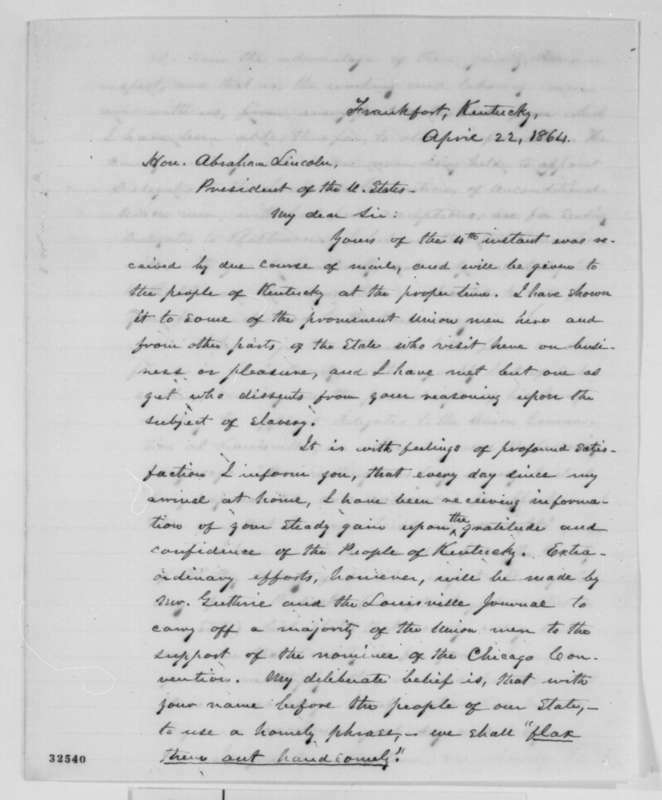 Lewis County Unionism: In this letter from Frankfort newspaper owner Albert G. Hodges to President Lincoln, the editor mentioned unwavering Union support in Lewis County, "I have just received a letter from an old friend in Lewis County, with a goodly list of subscribers, sending me the proceedings of his County meeting to appoint Delegates to the Union Convention at Louisville, in which he used the following language - 'Our meeting was large - every District being represented, and unanimous for Abraham [Lincoln]. I tell you that the mountains are all right.'" Courtesy of the Library of Congress. Tim Talbott, “Union Memorial,” ExploreKYHistory, accessed April 19, 2019, https://explorekyhistory.ky.gov/items/show/189.